The escalating trade war between the US and China may have a severe effect on the South Korean economy, which has an excessively high economic dependence on its Asian neighbor, a report said Sunday. The world's two largest economies have been at loggerheads over trade, leading to global repercussions. In its latest salvo against China, the Donald Trump administration this week unveiled an additional list of tariffs on $200 billion worth of Chinese goods. 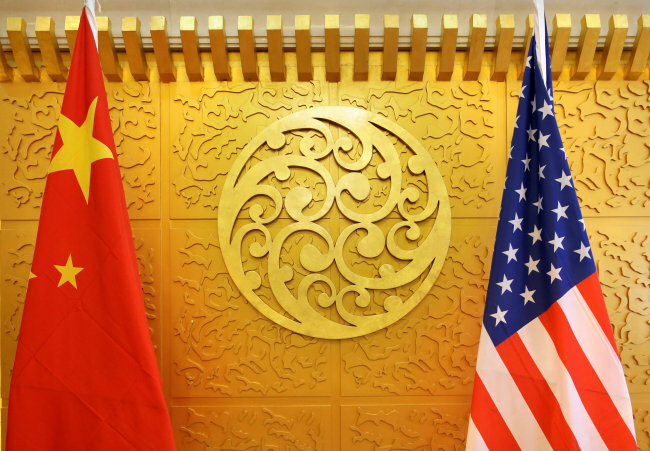 The action came just days after Washington levied punitive duties on $34 billion worth of Chinese products and Beijing threatened to retaliate with equivalent tariffs on American goods. The U.S and China are South Korea's top two trading partners. According to the Hyundai Research Institute, a 1 percentage point drop in China's economic growth rate will lead to a drop of 1.6 percentage points in South Korea's outbound shipments and a fall of 0.5 percentage point in its economic growth expansion. The research institute said the correlation rate of the leading economic indicators of the two neighbors stood at 0.565, far higher than the 0.054 of the US and South Korea, and the 0.306 of the OECD member countries and South Korea. Shipments to China accounted for 26.7 percent of South Korea's total exports in the first half of the year, higher than the US' 11.5 percent and the European Union's 9.8 percent. Between 2015 and 2017, South Korea posted an average current account surplus of $44.36 billion with China, accounting for 47 percent of the country's total surplus.